And it was competing with the World Series. 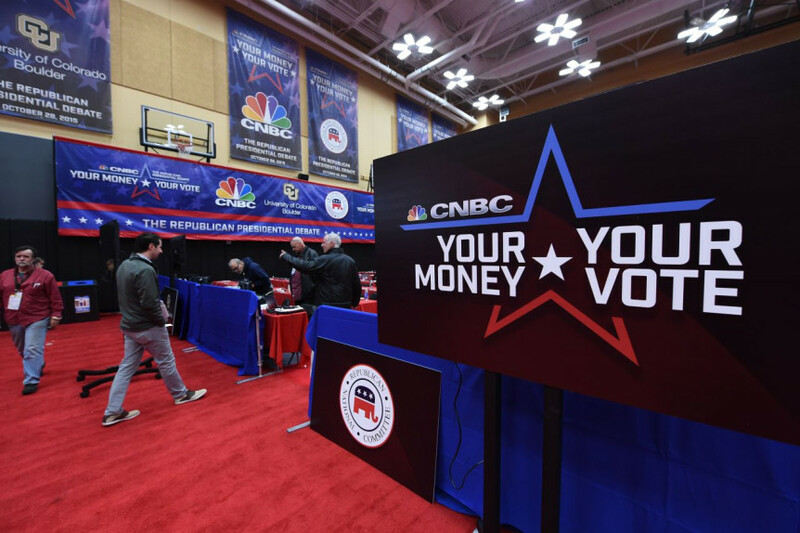 As expected, CNBC’s GOP primary debate ratings came in lower than Fox News’ and CNN’s debates, but for the network, the 14 million viewers reached last night was a record, pulling in the most viewers of any program in CNBC’s 26-year history. It also averaged 3.9 million in the A25-54 demo, according to Nielsen fast national ratings. The demo average is higher than the 3.332 million total viewers who tuned in the last time CNBC hosted a GOP primary debate in 2011–debate number nine. Not a bad night for the network, at least ratings-wise, especially when you consider it was competing with Game 2 of the World Series.